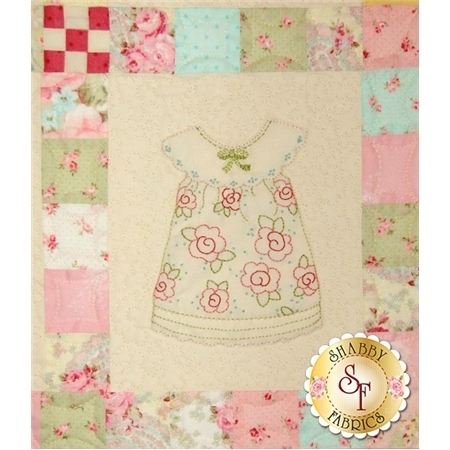 This darling wallhanging is an excellent choice for any little girl's room. 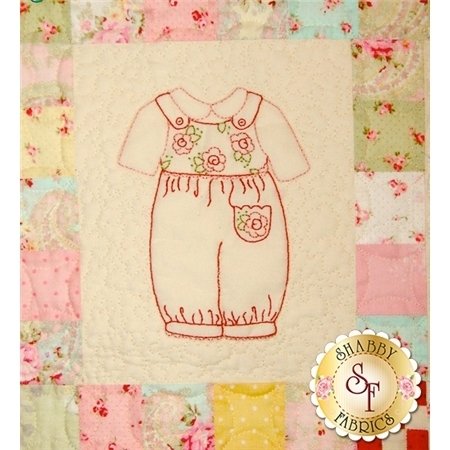 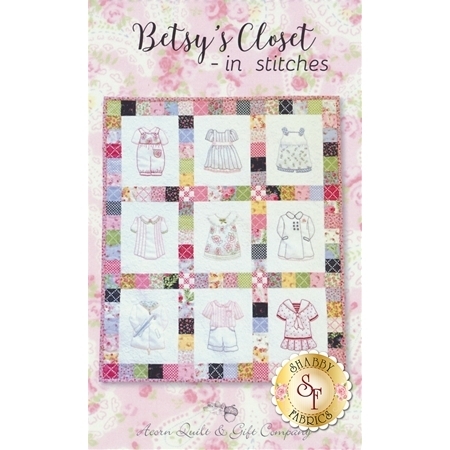 Nine adorable outfits are hand embroidered and finished off with pieced sashing and borders. 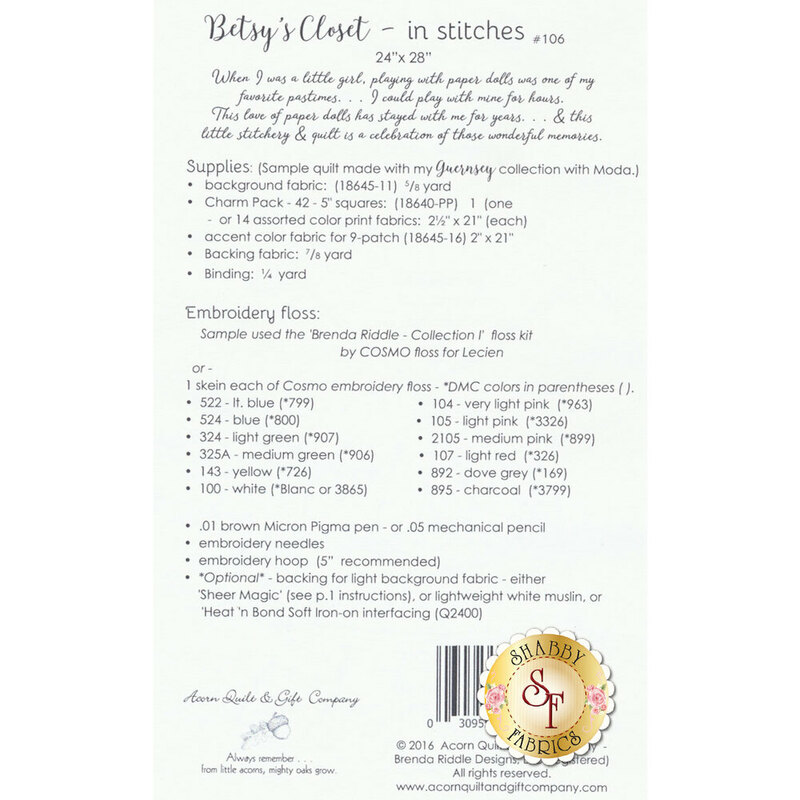 Pattern includes all instructions to complete the 24" x 28 1/2" project.